High Point University is a private liberal arts university in High Point, North Carolina. It is affiliated with the United Methodist Church. Founded as High Point College in 1924, it became High Point University in October 1991. HPU offers 47 undergraduate majors, 51 undergraduate minors and 12 graduate-degree majors. In the mid-19th century, the Methodist Protestant Church, which is now part of the United Methodist Church, became active in educational pursuits in North Carolina. In 1921, after some years of consideration, the statewide governing body of the Methodist Protestant Church voted to establish a college. Shortly afterwards the church accepted an offer from the citizens of High Point to contribute 60 acres (240,000 m2) of land and $100,000 to the project, placing the new school in the city of High Point. The campus was designed by R. E. Mitchell of Washington, D.C., assisted by Herbert Hunter of High Point, in the English Renaissance style. The school was founded in 1924 as High Point College, a joint venture between the Methodist Protestant Church and the citizens of High Point, and officially opened its doors on September 14, 1924. When the college opened, the campus consisted of three buildings, attended by nine faculty members, with a student enrollment of 122. The steadfast growth that characterized the birth of the college ended abruptly with the Great Depression. This period was difficult for the college in 1932–33, as faculty salaries were cut and expenses were sometimes bartered. Despite a $50,000 fund raising campaign, the college declared bankruptcy on June 15, 1934 and reorganization in an effort to reduce its indebtedness. Subsequent reorganization enabled the college to move forward with business and renewed expansion. On October 9, 1991, under the guidance of President Dr. Jacob C. Martinson, Jr. and the Board of Trustees, High Point College changed its name to High Point University to reflect post-graduate degree programs. Coinciding with the offering of graduate studies, every building on the campus was renovated and new ones were constructed with a campus quadrangle added to replace a former city street that bisected the campus,  and by 2004 the university's endowment increased to $40 million. When Jacob C. Martinson, Jr. stepped down as president in 2005, he was the longest serving United Methodist college president in the country. On September 14, 2014, the university celebrated its 90th anniversary. As part of the commemoration, 90 facts about the university were featured in the News and Record on High Point University's Founders Day. On January 3, 2015, Nido R. Qubein celebrated his 10th anniversary as president of High Point University. In April 2016, High Point University announced plans to invest $160 million in new building projects  including a 5,000-seat arena and conference center, undergraduate science center and residence hall. Together, Greensboro, High Point, and Winston-Salem, along with the surrounding suburbs and townships, form the Piedmont Triad region, an area with a population over 1.5 million. Of that number, approximately 108,285 live in High Point. Both Greensboro and Winston-Salem are twenty minutes from campus. East of the university are Raleigh (11/2 hours away) and the Atlantic Ocean (31/2 hours away); south of the university are Charlotte (11/2 hours away) and Atlanta, Georgia (5 hours away); west of the university are the Appalachian Mountains (2 hours away) and north is Washington, D.C. (5 hours away). In 2015, High Point University had a student-to-faculty ratio of 14:1 and a student retention rate of 76.5%. The average class size is fewer than 20 students and no teacher assistants instruct classes. High Point University offers day and evening undergraduate degree programs (Bachelor of Arts and Bachelor of Science) and evening graduate degree programs (Master of Education in Elementary Education, Master of Education in Educational Leadership, Master of Public Administration in Nonprofit Organization, Master of Business Administration, and Master of Science in Sports Studies). A doctoral degree in Educational Leadership began in the fall of 2012. Schools at High Point include the David R. Hayworth College of Arts and Sciences, the School of Art & Design, Earl N. Phillips School of Business, Nido R. Qubein School of Communication, Stout School of Education, Congdon School of Health Sciences, Webb School of Engineering, Fred Wilson School of Pharmacy, and Norcross Graduate School. Majors housed in the College of Arts and Sciences include Actuarial Science, Biochemistry, Biology, Chemistry, Computer Science, Criminal Justice, English, French, History, Human Relations, International Relations, Mathematical Economics, Mathematics, Music, Profit Leadership Management, Physics, Philosophy, Physics, Political Science, Psychology, Religion, Sociology and Anthropology, Spanish and Theater. Beginning in the fall of 2010 almost all courses in the College of Arts and Sciences became four credit courses. In recent years, the sciences at High Point University have made significant updates. Congdon Hall has added new office suites, classrooms and study spaces. The science departments have invested a quarter of a million dollars in new equipment to support scientific research and education on campus, including a $77,186 Institutional Development Grant from the North Carolina Biotechnology Center (NCBC) to purchase additional equipment for the cell culture lab. The Stout School of Education opened in August 2012. The building is 31,000-square-foot and includes smart boards, a children's book library, math and science touch screen games, a methods lab designed to look and feel like a real elementary school classroom, a Mac lab, and psychology research booths. Students have the option of majoring in Elementary Education, Health and PE, Middle Grades Education or Special Education. There is also a Master of Education in Educational Leadership and a Doctoral Degree Program in Educational Leadership. The Earl N. Phillips School of Business (PSB) is a vibrant, growing school of business with academic majors including Accounting, Business Administration, Entrepreneurship, International Business, Marketing and Sales. Minors include Accounting, Business Administration, Economics, Entrepreneurship, Finance, Global Commerce, Marketing and Sales. The Philips School of Business hosts the Business Plan Competition and offers students many opportunities for internships, to hear from guest speakers, and experiential learning. The School of Art and Design includes academic majors in Graphic Design, Interior Design, Studio Art and Visual Merchandising Design. Minors include Art History, Graphic Design, Furnishings and Product Marketing, Photography, Studio Art and Visual Merchandising Design. The Interior Design program is part of the Knabusch-Shoemaker International School of Home Furnishings and Interior Design and has two computer-assisted design (CAD) labs, a library and gallery to exhibit student work. The Interior Design Program is accredited by the Council for Interior Design Accreditation (CIDA). In 2016, High Point University received the largest National Institute of Health grant in university history. The grant will fund research to find ways to prevent ACL tears, which are most likely to occur in young female athletes. High Point University is investing $100 million in a new, state-of-the-art facility built to house the School of Pharmacy and School of Health Science. The 65,000 square foot school is designed with the latest technology, retail pharmacy space, assessment suites, classrooms and teaching & research labs. The development of the School of Pharmacy is a part of High Point University's ten year, $1.2 billion investment in academic programs and facilities. The School of Pharmacy will accept its first professional class in 2016. By design, High Point University will have the smallest pharmacy class size in North Carolina (80) with a low student to faculty ratio (9:1). Currently the School of Pharmacy is seeking accreditation by the Accreditation Council for Pharmacy Education (ACPE) and the Southern Association of Colleges and Schools Commission on Colleges (SACS-COC). The Nido Qubein School of Communication features two high definition television production studios, a multi-track audio recording studio, editing suites, computer labs and a high-definition surround sound theatre-screening room. High Point University currently offers five concentrations including Electronic Media Production (Developing Audio and Video Productions), Game and Interactive Media Design, Journalism (Converged Broadcast, Online, and Print), Media and Popular Culture Studies (History, Criticism, and Analysis), Sport Communication Strategic Communication (Health Communication, Social Media, Advertising, and Public Relations). In the fall of 2015, the school will offer three new communication majors: a Bachelor of Arts in Communication with an emphasis in Sport Communication (Reporting, Broadcast Performance, and Multimedia Production), a Bachelor of Arts in Documentary Media and a Bachelor of Arts in Communication with an emphasis in Sport & Event Management (Marketing and Promotions, Community Relations, Facility and Operations, Compliance, Ticketing, and Development). Annually, the top sixteen incoming communication majors are granted membership into High Point University's Media Fellows Program. The Media Fellows Program application is available to students who plan to major in Journalism, Electronic Media, Strategic Communication, Games and Interactive Design or Media and Popular Culture Studies. 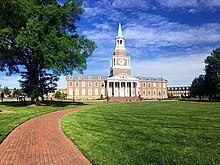 High Point University also offers a five-year B.A. to M.A. degree in strategic communication with specializations in either health communication or public relations. Students begin graduate courses in their senior year with courses counting toward both their undergraduate and graduate degrees. They then spend one additional year taking graduate courses and earn a master's degree. Communication majors have landed full-time positions and internships at companies such as National Air and Space Museum, Walt Disney World, Office Depot, Procter & Gamble, Seventeen magazine and many more. In March 2015, High Point University announced that former Today Show director and producer Joe Michaels would be joining the Nido Qubein School of Communication as an artist-in-residence. Joe Michaels is a seven-time Emmy Award-winning director and a two-time Directors Guild of America Honoree. Other notable faculty in the School of Communication include Charisse McGhee-Lazarou, former vice president of Primetime Programming at NBC. David Neal, a 34-time Emmy Award-winning producer and Fox's World Cup Coordinator serves on the Nido Qubein School of Communication advisory board. Norcross Graduate School at High Point University houses BA to MA/M.Ed programs (for undergraduate students only), Masters programs and Doctorate programs. BA to MA/M.Ed programs include Elementary Education (BA to M.Ed), Strategic Communication (BA to MA) and Special Education (BA to M.Ed). Masters programs include Business Administration (MBA), Education (M.Ed), Education (M.A.T), Physician Assistant Studies (MPAS) and Strategic Communication (MA). The Masters of Athletic Training (MSAT) is to come in 2017. Doctorate programs include Educational Leadership (Ed. D.), Doctor of Pharmacy (PharmD) and Doctor of Physical Therapy (DPT). Norcorss Graduate School also offers an add-on educational license for Educational Administration. The Bonner Leader Program is a part of a nationwide network of 70+ colleges and universities affiliated with and guided by the Bonner Leader Foundation. The Bonner Leader Program at High Point University began during the 2013-2014 academic year. The program is composed of six juniors and seniors and two service learning faculty. The Bonner Leader Program is a four-year responsibility. Students commit to 5–7 hours of community service each week, culminating in over 200 hours of community service during each academic year. The Survey Research Center began at High Point University in March 2010. HPU Poll surveys people in North Carolina and other states about public affairs issues and reports the results as a public service. Since 2010, members of the HPU Poll have asked questions about approval of public officials in North Carolina and current political issues such as the economy, health care, education, and the threat of terrorism. For each High Point University Poll, the Survey Research Center staff posts press releases, summary memos that give details about survey methods and content, and presentations that highlight a selection of survey questions. HPU's Survey Research Center also supports faculty and student collaboration by managing and consulting on student-faculty research projects. The Survey Research Center is based in the Nido Qubein School of Communication. The High Point University Human Biomechanics and Physiology Lab opened in November 2012 and contains a 3D motion analysis system for documenting how the body responds during individual movements using sensors, high-speed motion capture cameras, and force plates. Exercise science is now the third largest major on campus with Biology ranking number 5. Each year 40 incoming communication majors are granted membership into High Point University's Media Fellows Program through the Nido R. Qubein School of Communication. Media Fellows live in a living-learning community their freshman year and have options to travel abroad. During their college career, Media Fellows also participate in summer internships at national media companies, participate in seminars related to their major and produce a Capstone project during their senior year. Pre-professional studies are also offered, leading to medical, dental, pharmacy, or physician assistant school, engineering, forestry school, law school, theological seminary, or other professional training. In June 2015, High Point University welcomed its first class of students enrolled in the physician assistant program. Only 20 students were selected from a pool of 800 applicants and they will graduate in 2017. The program will begin each summer and will span 27 months over 7 continuous semesters. In 2017, the program will be housed in HPU's new of Health Sciences and School of Pharmacy building. The program then will be able to expand to 35 students. The course of study is divided into a 15-month didactic phase and a 12-month clinical phase. The Accreditation Review Commission on Education for the Physician Assistant granted Accreditation-Provisional status to the High Point University Physician Assistant Program sponsored by High Point University. Students will spend their first year largely in the classroom. In the second year, students will complete clinical work at High Point Regional Hospital, Novant Health Forsyth Medical Center in Winston-Salem, area Cornerstone Health Care offices and other group and private practices around the area. In 2005, traditional undergraduate enrollment was 1,450. In 2013, High Point University welcomed 4,000 students to campus, an increase by 176 percent. Based on data gathered from the incoming class of 2012, approximately 8,200 applications were reviewed. There was a 54% acceptance rate, with 1,333 enrolling. 78% of the freshmen class applied Early Decision or Early Action. For the class of 2017, the mid-range SAT scores for high school seniors applying to the university was 1000 to 1200. The mean SAT range for Critical Reading and Math was 1100 and the mean ACT Composite score for entering freshmen was 24. The average GPA on a 4.0 scale was a 3.3 un-weighted. 80% of the class was made up of students who were from states outside of North Carolina, and the class represented 41 states and 20 countries. High Point University is a residential campus by design, with 19 residence halls in total. In 2015 Business Insider ranked High Point University #4 in the nation for best residence halls. All High Point University students are required to reside on campus until they have reached senior status, unless they commute from their parent's permanent address. Panhellenic Council (NPC) - Alpha Chi Omega, Alpha Gamma Delta, Kappa Delta, Phi Mu, Sigma Sigma Sigma, Zeta Tau Alpha. National Pan-Hellenic Council (NPHC) - Alpha Kappa Alpha, Delta Sigma Theta, Kappa Alpha Psi, Zeta Phi Beta. Many Greek students are University Ambassadors, Resident Assistants, Peer Mentors, Campus Activity Team members, and Presidential Scholars. Students at High Point University cannot become members of a Greek organization on campus until they have completed at least one semester. Recruitment begins in October and November and ends in January. Students must have at least a 2.5 GPA. Honor societies at High Point University include the Order of the Lighted Lamp, Alpha Chi (both recognize academic achievement), Alpha Delta Omega (Human Relations), Beta Beta Beta (Biology), Sigma Delta Pi (Spanish), Pi Delta Phi (French), Phi Sigma Iota (Foreign Language), Lambda Pi Eta (Communications), Alpha Sigma Lambda (Adult Learners), Pi Sigma Alpha (Political Science), Kappa Delta Pi (Education), Delta Mu Delta (Business), Psi Chi (Psychology), Alpha Phi Sigma (Criminal Justice), Sigma Tau Delta (International English Honors Society), and Alpha Lambda Delta. In April 2015, 254 students were inducted into High Point University's newest honor society, Alpha Lambda Delta. The mission of Alpha Lambda Delta is to encourage superior academic achievement, to promote intelligent living and a high standard of learning, and to assist students in recognizing and developing meaningful goals in society. The Office of Career and Professional Development at High Point University helps students explore their career interests, identify their strengths, and develop a plan that will prepare them for life after graduation. As a part of the Four Year Career Plan, HPU Career advisors help students with freshman career planning, establishing a LinkedIn profile, updating resumes, creating an effective cover letter, applying for graduate school and applying for internships and jobs. The Office of Career and Professional Development also offers an externship course aimed at second semester freshmen and sophomores seeking career-based experience and skill development. Students who have utilized the Office of Career and Professional Development have landed internships at regional, national, and global organizations such as Ashley Furniture, CBS, CNN, Hearst Magazines, Living Social, Michael Kors, Microsoft, NASA, Vineyard Vines, Good Housekeeping, Paramount Studios, Pfizer Pharmaceuticals and more. Students are provided with Access to Innovators, which has brought scores of world-renowned thought-leaders and speakers to campus, including Mitch Albom, Steve Forbes, Malcolm Gladwell, Seth Godin, John C. Maxwell, Thomas Friedman, Ken Dychtwald, and CNN Justice Correspondent Pamela Brown (journalist). Guest speakers are selected to provide students and the community the opportunity to understand diverse viewpoints, positions and backgrounds. Recently, Marc Randolph, the co-founder of Netflix. and Biz Stone, the co-founder of Twitter. While Marc was on campus he took part in a question-and-answer session titled "A Discussion with High Point University President Nido Qubein" and spent time in the Belk Entrepreneurship Center to review High Point University students' business concepts. Biz also took part in a discussion with President Nido Qubein and spent time with communication and entrepreneurship students. The Cultural Enrichment Series was named the Community Enrichment Series in 2014. Guests to campus in the 2014-2015 year included Dutch artist Theo Jansen, digital art pioneer Barbara Nessim, sports television announcer Bob Rathbun,  Navy Seal Rob O'Neill,  pianist Marvin Blickenstaff, and artist Mariyah Sultan. These events are open to students, faculty, staff, and the surrounding community. High Point University also offers students the chance to expand their movie repertoire with the Faculty Film Series, which features faculty-selected films to be shown on campus in the Extraordinaire Cinema and Qubein Screening Room. Films included in the series connect with specific courses being taught on campus during the semester. In November 2017, High Point University partnered with Radiate.com, to bring a new leadership and life skills development tool to its students. This subscriber-based website, founded by Betty Liu, offers Q&A interviews with some of the world's most successful and dynamic leaders. HPU is working with Radiate as the first college to provide complimentary access to this site for all students, faculty, and staff. Corporate Educator in Residence - Scott McKain, Keynote Speaker, Best-Selling Author, Sales and Customer Service Expert. In recent years, the school has brought high-profile speakers to campus for commencement, including former President George W. Bush, former President Bill Clinton, former New York mayor Rudolph Giuliani, televangelist pioneer the Rev. Robert Schuller, Queen Noor of Jordan, U.S. Supreme Court Justice Clarence Thomas, astronaut and children's book author Buzz Aldrin, Coca-Cola Company Chairman and CEO Muhtar Kent, the former U.S. First Lady Laura Bush, and Steve Wozniak, the co-founder of Apple. In August 2014, High Point University announced that the distinguished journalist Tom Brokaw, best known as the anchor and managing editor for NBC Nightly News,  would be the 2015 commencement speaker. Before the commencement weekend, he made USA Today's list of 'Most Prominent College Graduation Speakers of 2015'. The Huffington Post highlighted Brokaw's speech  which urged High Point University graduates to be a new generation that sees past race, gender and superficial lines that divide. In August 2016, High Point University announced that journalist and television news anchor Wolf Blitzer of CNN's The Situation Room will serve as the 2017 Commencement Speaker. Throughout the years, other special guests have included former President Bill Clinton, social and political analyst Armstrong Williams, baseball hall of fame recipient Cal Ripken Jr., author Chris Gardner, Olympic gold medalist Jennifer Azzi, former George W. Bush advisor Karl Rove, Grammy award-winning singer Lee Greenwood, physician Patch Adams, and best-selling author Stedman Graham. Local speakers include North Carolina governor Pat McCrory and Richard Childress, president and CEO of Richard Childress Racing. Speakers have also included Tony award-winning composer Charles Strouse and Steve Harvey. HPU welcomed chancellor of UNC Chapel Hill, Carol Folt who was interviewed by president Nido Qubein for UNCTV. HPU also welcomed Stanford University professor, TED speaker and author, Carol Dweck, who was interviewed by President Qubein on her research and book "Mindset" which focuses on the idea of Growth Mindset. The National Board of Advisors is composed of Fortune 500 CEOs and thought leaders who have impacted the United States of America and the world in significant ways. Steve Wozniak - co-founder of Apple Computer Inc.
Ron Wanek - founder and chairman of the board of Ashley Furniture, Inc.
Kurt L. Darrow - president and CEO of La-Z-Boy Inc.
Tim Belk - chairman and CEO of Belk, Inc.
Robert R. Merhige, Jr. - A federal judge for the United States District Court for the Eastern District of Virginia who is known for his ruling on desegregation in the 1970s. In 2011, students in the High Point University School of Education partnered with The Montlieu Academy of Technology in High Point to allow students the opportunity to use iPads in the classroom. The iPads given to the school were funded by High Point University, Businesses for Excellence in Education, the William B. Millis Fund of the High Point Community Foundation and the Joseph M. Bryan Foundation. High Point University and High Point Regional Hospital announced in February 2016 that they have "partnered the creation of the Community Rehabilitation Clinic- a clinic to treat the insured and the uninsured populations with a variety of physical therapy and rehabilitation needs." In the summer of 2016, HPU graduate Brandon Holder spoke as part of TedxGreensboro about finding his passion and developing a solar-powered water purification system to help bring water to developing nations. His organization is called "Water the World: Live Locally. Give Globally." The High Point Panthers include HPU's 16 athletic teams that compete at the NCAA Division I level, mostly in the Big South Conference. HPU's 16 varsity sports are baseball, men's and women's basketball, men's and women's cross country, men's and women's golf, men's and women's lacrosse, men's and women's soccer, men's and women's indoor track & field, men's and women's outdoor track & field and women's volleyball. In recent years, HPU has won nine Big South Conference Championships, produced 10 Conference Players of the Year; and more than 130 HPU athletes have received Big South All-Academic Honors. The 2010-2011 women's lacrosse team success led to other accomplishments in 2013. The women's lacrosse assistant coach Lauren Norris was selected to coach the 2013 Israel National Lacrosse Team in the 2013 FIL Women's World Cup. In the fourth round of the 2013 Major League Soccer (MLS) Supplemental Draft, the Columbus Crew picked High Point University senior midfielder Shawn Sloan. In the fall of 2013, the High Point University field hockey team qualified for the national tournament in Virginia Beach with a 6-2-0 season. The club equestrian team is a member of the Intercollegiate Horse Show Association (IHSA). In May 2009, former University of North Carolina captain Scott Cherry was named head coach of men's basketball. High Point University broke ground on a 31,500 square-foot facility in 2013. The facility will house a 120-seat academic center as well as athletic training rooms. The newest building on campus will also include new locker rooms and lounges for men's and women's lacrosse and soccer teams, as well as offices for coaches and support staff members. In May 2014, High Point University announced the appointment of Dan Hauser as the new athletic director, effective July 1, 2014. Hauser has spent the last eight years as senior associate athletic director at Ohio University. He previously served as director of marketing at Wake Forest University. In May 2013, HPU graduates Collin Smith and Ernest Greene were featured on ABC World News Tonight with Diane Sawyer, Good Morning America, and Fox & Friends Christmas Special. Smith was a three-sport athlete in high school before a car accident left him paralyzed from the chest down. Greene was a member of Smith's church when the accident occurred and volunteered his time throughout Smith's college career to help him get ready for school and take notes during his classes. Smith graduated in 2013 and Greene received an honorary degree during the Commencement Ceremony. In Fall 2013, High Point University President Nido R. Qubein made a live appearance on CNBC's Squawk Box to discuss the American Dream and the importance of a holistic education. ^ As of October 15, 2018. "U.S. and Canadian Institutions Listed by Fiscal Year 2011 Endowment Market Value and Percentage Change in Endowment Market Value from FY 2010 to FY 2011" (PDF). 2011 NACUBO-Commonfund Study of Endowments. National Association of College and University Business Officers. Archived from the original (PDF) on September 15, 2012. Retrieved June 16, 2011. ^ "High Point University". Retrieved August 15, 2015. ^ "Rhino Times - June 19, 2014". Archived from the original on November 29, 2014. Retrieved August 15, 2015. ^ Jean Stancill, December 8, 2015, News & Observer, The president of High Point University ranked as the third highest-paid university president in the country, according to a Chronicle of Higher Education report on 2013 data, Retrieved December 14, 2015, "....."
^ Kambhampati, Sandhya. "32 Leaders of Private Colleges Earned More Than $1 Million in 2013". The Chronicle of Higher Education. The Chronicle of Higher Education. Retrieved December 6, 2015. ^ a b c "Can High Point University fly higher?". Triad Business Journal. May 23, 2014. Retrieved August 15, 2015. ^ "Page Not Found - HP® Official Site". Archived from the original on December 18, 2014. Retrieved August 15, 2015. ^ john.newsom@news-record.com, John Newsom. "HPU delves into past for 90th birthday". Retrieved February 26, 2017. ^ "High Point University unveils plan to 'lead the way' with $160M in new building projects - Greensboro - Triad Business Journal". Triad Business Journal. Retrieved May 27, 2016. ^ "NASA invites High Point University students to test device". Greensboro News & Record. Retrieved August 15, 2015. ^ "Couple donates $5 million to HPU". The High Point Enterprise. Retrieved March 27, 2017. ^ "School of Pharmacy associate dean leaving KU for top spot with new program". Retrieved August 15, 2015. ^ High Point University. "HPU Welcomes Gal as Associate Dean for Academic Affairs for the School of Pharmacy". High Point University. Retrieved August 15, 2015. ^ High Point University. "School of Pharmacy Welcomes Lingle as Associate Dean". High Point University. Retrieved August 15, 2015. ^ High Point University. "Hemby Joins School of Pharmacy". High Point University. Retrieved August 15, 2015. ^ High Point University. "Greene Joins School of Pharmacy". High Point University. Retrieved August 15, 2015. ^ High Point University. "ISSUU - High Point University Feature in US Airways Magazine by High Point University". Issuu. Retrieved August 15, 2015. ^ High Point University. "ISSUU - Our State Magazine HPU Feature October 2013 by High Point University". Issuu. Retrieved August 15, 2015. ^ "Past Pinnacle Winners". Retrieved February 26, 2017. ^ "High Point University welcomes first students in physician assistant program - Greensboro - Triad Business Journal". Triad Business Journal. June 5, 2015. Retrieved August 15, 2015. ^ "High Point University starts physician assistant program". Winston-Salem Journal. Retrieved August 15, 2015. ^ HPU's PA Program Opens State of the Art Simulation Lab. YouTube. May 14, 2014. Retrieved August 15, 2015. ^ "Meet Stan. He cries, sweats, talks and pees. And he's a mannequin". Retrieved August 15, 2015. ^ University, High Point (June 7, 2015). "HPU Hosts Inaugural White Coat Ceremony and Welcomes First Class of PA Students - High Point University". High Point University. Retrieved May 15, 2016. ^ High Point University. "Freshmen Class Profile". High Point University - Undergraduate Admissions. Retrieved August 15, 2015. ^ "The 30 colleges with the best dorms". Retrieved February 26, 2017. ^ "The 20 colleges with the best dining halls". Retrieved February 26, 2017. ^ High Point University. "Greek Life". Greek Life. Retrieved August 15, 2015. ^ REPORT, ENTERPRISE STAFF. "Netflix co-founder to visit HPU". Retrieved February 26, 2017. ^ "Twitter (NYSE: TWTR) co-founder Biz Stone to speak at High Point University - Greensboro - Triad Business Journal". Triad Business Journal. Retrieved May 27, 2016. ^ "Sportscaster Bob Rathbun Shares Industry Expertise at HPU". Retrieved August 15, 2015. ^ "Page Not Found - HP® Official Site". Archived from the original on February 24, 2015. Retrieved August 15, 2015. ^ David Ford. "Sechrest Gallery Presents "Elemental Emulsions: Mariyah Sultan Paintings"". Retrieved August 15, 2015. ^ University, High Point. "Apple Co-Founder Steve Wozniak Becomes HPU's Innovator in Residence". GlobeNewswire News Room. Retrieved May 27, 2016. ^ "Steve Wozniak named Innovator in Residence at High Point University". Retrieved February 26, 2017. ^ Jamie Gumbrecht, CNN (April 25, 2014). "College commencement speakers for 2014 announced - CNN.com". CNN. Retrieved August 15, 2015. ^ "Congress Needs To Stop And Listen To Colin Powell's Commencement Speech (VIDEO)". The Huffington Post. Retrieved August 15, 2015. ^ "Most prominent college commencement speakers of 2015 - USA TODAY College". USA TODAY College. Retrieved August 15, 2015. ^ "Tom Brokaw: We Can't Fulfill America's Promise If We Are Blinded By Color". The Huffington Post. Retrieved August 15, 2015. ^ REPORTS, STAFF. "Condoleezza Rice to speak at HPU graduation". Retrieved February 26, 2017. ^ Journal, Jordan Howse/Winston-Salem. "Condoleezza Rice to speak at HPU graduation". Retrieved February 26, 2017. ^ Hill, Jarred. "Condoleezza Rice speaks at HPU graduation". WXII12. Retrieved May 27, 2016. ^ "Apple Co-Founder Steve Wozniak Holds Micro Sessions with HPU Students". Yahoo Finance. Yahoo Finance. February 21, 2017. Retrieved March 10, 2017. ^ Anthony Atala. "Anthony Atala: Growing new organs - TED Talk - TED.com". Retrieved August 15, 2015. ^ High Point University. "National Board of Advisors Adds Dr. Anthony Atala". High Point University. Retrieved August 15, 2015. ^ "Schultz selects D-1 baseball". troyrecord.com. Retrieved April 10, 2015. ^ "Page Not Found - HP® Official Site". Archived from the original on September 18, 2014. Retrieved August 15, 2015. ^ University, High Point (May 12, 2016). "Carl Chavis YMCA Opens Splash Park for Children in High Point - High Point University". High Point University. Retrieved May 27, 2016. ^ University, High Point. "Science Comes to Life at HPUniverse Day for Local Children - High Point University - - High Point University - High Point, NC". Retrieved February 26, 2017. ^ O'Connell, Elaina (December 14, 2016). "High Point University Hosts Annual Community Christmas". TWC News. TWC News. Retrieved February 7, 2017. ^ High Point University Panthers - High Point leads Sasser Cup standings after fall. Highpointpanthers.com (2010-12-01). Retrieved on 2013-08-09. ^ High Point University Panthers - HPU women's lacrosse finishes season with loss to No. 2 UNC. Highpointpanthers.com (2011-05-06). Retrieved on 2013-08-09. ^ High Point University Panthers - Club Sports at HPU. Highpointpanthers.com. Retrieved on 2013-08-09. ^ "High Point University Panthers - HPU dedicates Witcher Athletic Center". High Point University. Retrieved August 15, 2015. ^ "Big South Announces 2015-16 Presidential Honor Roll". Retrieved February 26, 2017. ^ Newsom, John (January 30, 2017). "High Point University details plans for basketball arena, conference center". Winston-Salem Journal. Retrieved February 7, 2017. ^ Staff, Web (February 7, 2017). "High Point University to name new basketball court after Tubby Smith". Fox 8. Fox 8. Retrieved February 7, 2017. ^ "High Point University" (PDF). Retrieved August 15, 2015. ^ "Financial Responsibility Composite Scores". Retrieved August 15, 2015. Loy, Gary, High Point University 90th Anniversary Photo Book. Lulu Press, 2014. McCaslin, Dr. Richard B., Remembered Be Thy Blessings: High Point University: The College Years, 1924–1991. High Point University, 1995.